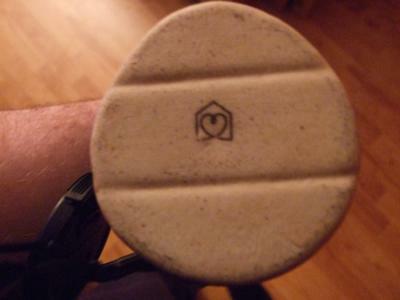 Pottery Mark Query - heart inside a pentagon OR heart in a house:- Hi, Bought the vase in a Charity Shop because I liked it. 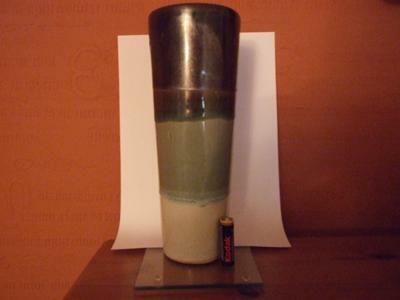 It is 10 inches high, top of the base is 3.5 inches and the base is 3 inches. The vase is not round at the top or the bottom, more of a squashed shape? Multi rings of glazed colour from a plain stone to the top of a shiny, sparkly purple colour? The base has 2 straight line indentations and a mark that should be described as a heart inside a pentagon that is made with a continuous line however I like to call it a heart in a house!!?? Thanks for taking the time in reading this. 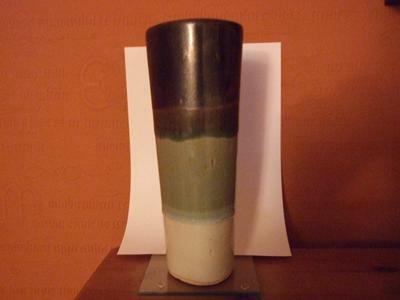 hi, i have just purchased a hand blown glass vase with an itentical mark on the base. i am having the same prob trying to identify the mark. Hi, just bought 4 charming little coffee cups with the same mark. Most mysterious! Anyone tried Google Image search? Pottery with this mark was sold by Habitat. This solves yet another mystery mark query for our readers. For those who don't know; Habitat is a UK multiple retailer founded by the famous designer Terence Conran in the 1960's. It still operates today. 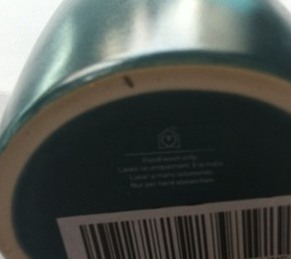 I looked around to try to verify the mark and sure enough, found this Habitat mark on another art pottery vase. Not sure where Habitat sources this range, if you know please post.